What was meant by the serpent? And what was all that about the Tree of the Knowledge of Good and Evil? Puh-leese. As to what was meant by the serpent, and what was meant by Elohim’s forbidding of the Tree of the Knowledge of Good and Evil, I used three sources: Gerald J. Blidstein’s In the Rabbi’s Garden: Adam and Eve in the Midrash, Rabbi David Fohrman’s The Beast That Crouches at the Door: Adam & Eve, Cain & Abel, and Beyond, and Elaine Pagels’ Adam, Eve, and the Serpent. So, who was this creature? The translation of the Hebrew word is pesky; it’s become serpent because no one knows what the Hebrew word really stands for. Was it really a snake that could talk? One of the angels? Maybe Satan? Again, it’s not simple. Reams of books have been written on Satan. As I child, I was taught that the serpent was Satan, but nowhere in the Old Testament or Torah is Satan with a big “S” mentioned (certainly this has been changed in the Job story?). That’s something we’ve gained from John Milton’s 17th century Paradise Lost, believe it or not. As for the Tree of the Knowledge of Good and Evil. If you’ve read carefully, you may have noticed that Eve changes Elohim’s commandment by adding the fact they may not touch the Tree of the Knowledge of Good and Evil (from Elohim’s original command). This flummoxed me. Why would she have done this? It is a point that is much debated in the literature on Adam and Eve. For hashing out the why of Adam and Eve’s expulsion, for such a seemingly minor offense, I relied heavily on Rabbi David Fohrman’s The Beast That Crouches at the Door: Adam & Eve, Cain & Abel, and Beyond. Fohrman’s book is warm and conversational. It takes an unflinching look at what are some of the most confusing passages of this famous story. Why did you change the fruit that Eve ate of? I thought it was an apple. Well, no. It has become an apple in illustrations and paintings by artists who needed to paint something, so they made it an apple. No one knows what the fruit looked like, although, again, there is much speculation. Was Eve simply stupid for eating of the Tree of the Knowledge of Good and Evil? Eve is fascinated with the fruit-she-cannot-eat. She deems it beautiful and desirable and having all the signs of being delicious. This is important because we see that she is capable of making a good decision. She wants wisdom, certainly. It is interesting that in the Biblical account, she asks questions when given the chance, and considers what to do. Adam, on the other hand, simply takes it from his wife’s hand and eats it (Genesis 3:6). Is God’s indictment of Adam and Eve a curse, as you see it, or a consequence? No one can say for sure. I think Adam and Eve are hearing the consequences of their transgression. I think it’s interesting that God includes the job title “working with their hands” before they eat of the fruit, so the fact that Adam will have to work harder is a consequence. 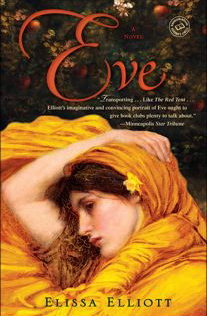 And in Eve’s case, her consequence parallels Cain’s. In essence, God is saying to Eve (italics mine), “Your desire will be for your husband, and he will rule over you (because of that).” How many women do you know who are running around for their husbands? They change their schedules to accommodate their husband’s; they are glorified secretaries. How long have all women been suppressed? Might this be a consequence? God tells Cain, basically, that if Cain’s desire is for sin, sin will overtake him. How many people do you know who are stuck in a vicious cycle? They’ve given in and can’t get out.